This versatile & gentle peel uses a 20% multi-fruit & glycolic acid complex solution to remove dead skin cells to make way for new smoother & brighter looking complexion. With a serious of treatments we can reduce wrinkles, fight blemishes, diminish hyper-pigmentation & treat sun damaged skin. B-Sharp offers Hair & Esthetics for you & your family. We are a warm & inviting Salon for All Ages. 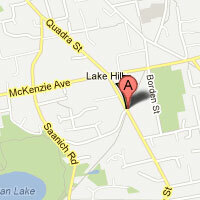 B-Sharp is located in the central area of Quadra & McKenzie, conveniently on the #26 bus route to & from Camosun or UVic. Our Staff are ALL truly passionate about what we do! B-Sharp supports our local schools with donations towards their fundraising endeavours.